We’ve covered credit and charge card sign-up deals here before, and American Express usually have some of the best in the UK market. They also offer enhanced bonuses when new members sign up from an existing member’s ‘referral.’ The process can be a little convoluted however, but the card issuer has now issued a links that you can use yourself to effectively ‘self-refer’. The bonus for new members who are accepted for the Platinum Charge Card and who spend £2,000 on the card in the first three months of Cardmembership is currently 30,000 Membership Reward Points. However, members applying through the link below and meeting the eligibility criteria will receive an additional 5,000 Membership Reward Points to make a total of 35,000 points – on top of the 1 Point per Pound spent standard earning rate. That’s enough for two Economy return flights from London to Rome, subject to availability and relevant taxes, fees and charges – or a fairly wide selection of other travel rewards including miles conversions with Alitalia, British Airways, Cathay Pacific (Asia Miles), Delta, Emirates, Etihad, KLM, Iberia, SAS, Singapore and Virgin Atlantic. The link goes to the special secure American Express sign-up page, and shows the full terms and conditions of Cardmembership and bonus earning requirements. The most important things to be aware of are that this is a chargecard with no monthly pre-set spending limit, and that the Platinum Card attracts an annual fee of £450. The offer is not available if you currently hold or have held any other Membership Rewards enrolled American Express Cards in the past 6 months. Unlimited access to over 1,000 airport VIP lounges in 83 countries around the world. Worldwide travel insurance for you, your family, your Supplementary Cardmembers and their family. Starwood Preferred Guest Gold Membership. Accor Hotels Le Club Platinum Membership. Additional details relating to Cardmember benefits are available from the referral link above. For the purposes of clarity, all applications are entirely confidential between the applicant and American Express. The link is to a secure American Express webpage (check for the letters and characters https:// at the beginning of the web address once the page has loaded). No personal, professional or financial details are ever available to the referrer, nor even any statistics revealing how many applications may have been made. In the interests of full disclosure, the only ‘evidence’ of a successful application having been made via the link is that a referrer’s bonus of 18,000 Membership Reward Points may be made to the referrer’s account in a maximum of five cases annually, when an application has been made via the link, the applicant has been accepted for Cardmembership and they have themselves achieved their 35,000 sign-up bonus. In all cases, the referrer’s bonus is generated entirely anonymously. Here’s this month’s overview of American Express current new cardmember deals, covering ‘house-branded’ and ‘co-branded cards’. House-branded cards offer frequent travellers the flexibility of being able to earn Membership Rewards, which can then be converted into a wide range of hotel and airline loyalty scheme currencies. Co-branded cards earn points or miles directly into the co-brand’s scheme. British Airways American Express Prem Plus Card Credit Avios 25,000 New! British Airways American Express Credit Card Credit Avios 9,000 New! The Starwood Preferred Guest Credit Card Credit Starpoints 20,000 New! All of the above offers are currently loaded, with the notable change this month being the increase in bonuses for targeted spend on British Airways American Express cards, and the doubling of the bonus on the Starwood Preferred Guest Credit Card. Remember that these bonuses are generally available only to new customers of American Express, or those who have an existing credit card account but successfully apply for a new charge card account. The Nectar Credit Card Credit Nectar Points 20,000 New! The Platinum Business Card Charge Membership Rewards 60,000 New! The Gold Business Card Charge Membership Rewards 20,000 New! All of the above offers are currently loaded, with the notable change this month being the increase in bonuses for targeted spend on new Gold & Platinum Business Cards, and a doubling of the potential Nectar Credit Card bonus (the existing 10,000 points for £1,000 spend in 3 months is now joined by a 20,000 points for £2,000 spend). The Gold Business Card Charge Membership Rewards 40,000 New! All of the above offers are currently loaded, with the notable change this month being the decrease in bonuses for the British Airways-branded cards, and the new Gold Business Card bonus. Remember that these bonuses are generally available only to new customers of American Express, or those who have an existing credit card account but successfully apply for a new charge card account. All of the above offers are currently scheduled to last until the end of July at least, with the notable change this month being the increase in bonuses for the British Airways-branded cards. Remember that these bonuses are generally available only to new customers of American Express, or those who have an existing credit card account but successfully apply for a new charge card account. Do you plan to pay off the balance each month? Do you need a fee-free card, or are the benefits of a paid-for card of sufficient value? Do you already collect loyalty currency in a scheme that you wish to add to? Are you clear on the value and availability of the rewards that you ultimately seek? The nature of personal finance is such that almost everyone’s circumstances are unique, so it’s obviously important to look into all the features of a card before signing-up. This is particularly relevant since card issuers (like American Express) will often disqualify existing (or recently-lapsed) members from new card bonuses, even if a different product is being applied for. Pick the wrong card first, and it could be sometime before you qualify again for a bonus on taking out the right card! Co-branded cards are also described as ‘affinity’ cards, and many of them are marketed to appeal to customers who feel ‘an affinity’ with the co-brand that they carry. Again, if you’re aiming to maximise your points-earning and, more importantly, your options for redeeming rewards, it’s critical to prioritise the practicalities of earning and redemption. More often than not, that will mean adding to your existing earning activities and accelerating your current redemption plans – rather than embarking on some new strategy. So, if you’re based in the UK and you travel with British Airways (or at least the oneworld alliance, and earn points from alliance airlines into a BA account) most often, then one of the British Airways co-branded cards should almost certainly top your list to consider. Alternatively, if most of your travel is with Etihad, and in the absence of an Etihad credit or charge card in the UK, then a Membership Rewards-earning card from American Express could help bolster your existing earnings from flying with the Abu Dhabi airline. The British Airways conversion from Membership Rewards is a useful additional option instead of earning Avios directly with a BA co-branded card. If you’re a frequent (or even exclusive) BA traveller though, then the ‘2for1′ companion vouchers and potentially higher earning rates of the BA cards will probably swing the balance towards the Avios-earning cards. One other point to note when converting points to airline miles is that, whilst American Express Membership Rewards don’t expire as long as card membership is continued, some airlines’ currencies do expire – for example KLM Flying Blue ‘award miles’ are removed when a member does not earn miles from a qualifying flight for a period of 20 months. So, it can make sense to leave earned Membership Rewards in the American Express account until they’re actually needed; that way flexibility and longevity is maximised. Please note that the above information is correct at time of original publication (July 2013) but is subject to change at any time. 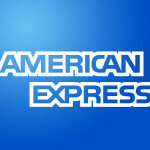 For the most up-to-date detail, check the American Express website. Please note that the following information was correct at time of original publication (May 2013) but is subject to change at any time. For the most up-to-date detail, check the American Express website. All of the above offers are currently scheduled to last until the end of May at least, with the notable change from April being the doubling of the welcome bonus applicable to eligible new Starwood cardholders. All of the above offers are currently scheduled to last until the end of April at least, with none of the bonus offers having changed from those running at the end of March. *The Nectar bonus is valid for applications made from April 16th 2013. 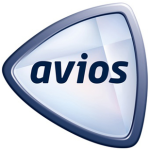 If you’re UK based and you want to boost your Avios balance through credit card spend, then your headline choice is between a British Airways American Express card product, or a Lloyds TSB Avios Duo product. When it comes to join-and-spend bonuses, there’s not much of a contest usually – the British Airways-branded cards tend to be significantly more generous to new cardholders. That situation has just changed however, with the announcement that new Lloyds TSB Avios Duo cardholders will be in line for a 15,000 Avios bonus when they spend a minimum of £500 in each of the first three months of membership. New holders of the £50pa fee Premier Duo card could increase that bonus to 20,000 Avios. And, if you apply through consumer cashback site Quidco, then a successful application should also yield an additional £20 of cashback. The LTSB cards are branded ‘Duo’ to reflect their twin-card status. Successful applicants will receive two cards which hang off the same account – a MasterCard and an American Express card. The MasterCard provides an extra level of spending flexibility for when a merchant doesn’t accept AmEx, but the MasterCard earning rates (more about which later) are a little grim. Back to the bonus Avios though, and it’s some time since Lloyds TSB has been so generous; until the end of March their joining bonus was a slightly-confusing Avios ‘voucher’ which didn’t in itself add to existing balances, had an expiry date and had to be used in full for a booking which included a flight and hotel stay. No such restrictions from now until the advertised 15th September deadline though – the Avios on offer here are just like any others and can be used, combined and moved in exactly the same way as those earned from other sources. 1. The £500 monthly spend must be made on the Duo American Express card. spend on the Duo MasterCard won’t qualify for bonus Avios. 2. Anyone who has ever held a Lloyds TSB Airmiles or Avios card is excluded from the bonus opportunity. In the longer term, the earning rate on the Duo MasterCard renders it less attractive than other options at 0.2 Avios per £ spend. The Premier card offers a 25% uplift, but still isn’t startling. So, it’s the joining bonus that’s definitely the prize at the moment. To apply for the card, don’t forget to first register with or log in to Quidco for the £20 cashback offer.